That’s right, folks, I’m adding Professional Playground Inspector to my resume of Mamma, Diet Coke addict, human tissue, yoga pants enthusiast, and blogger. Since we spend a vast majority of our time frequenting the local playgrounds, I have acquired the ability to access any playground and tell you in 30 seconds which devices will lead to a trip to the ER, magic mommy kisses, or Mamma wanting to add wine to her water bottle. My kids are the ones that hit the mulch running when they are faced with a tot lot, but I’ve learned a few things while building my Playground Inspector career; after all, I have a four-year old with a Superman complex (for real, he tries to fly) and an Evil Knievel wanna-be two-year old. 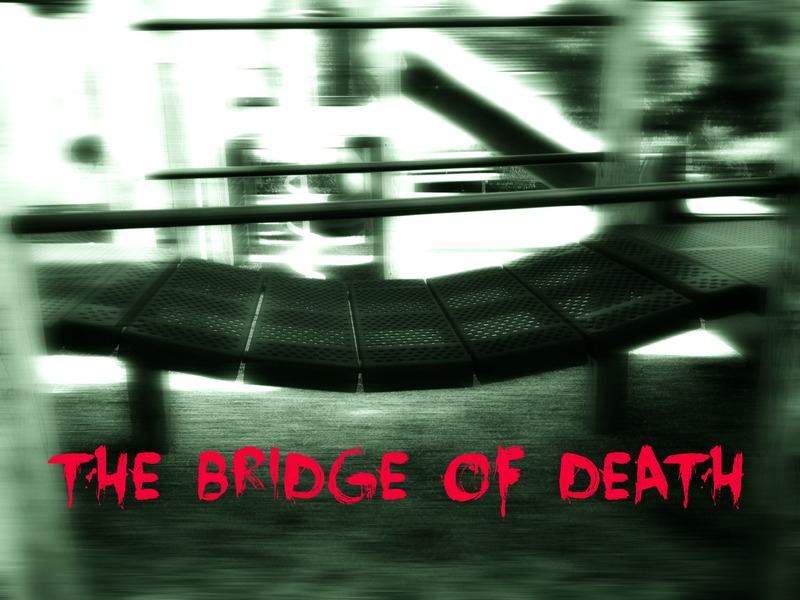 While The Bridge of Death may seem harmless, don’t let its gentle downward slope fool you. Both of my kids have face planted on this bridge when they’ve run too fast or tried to get around another playgrounder. If you are out early in the morning and the fresh dew is still sparkling on the equipment, be prepared to have that hole pattern etched into your precious one’s face. 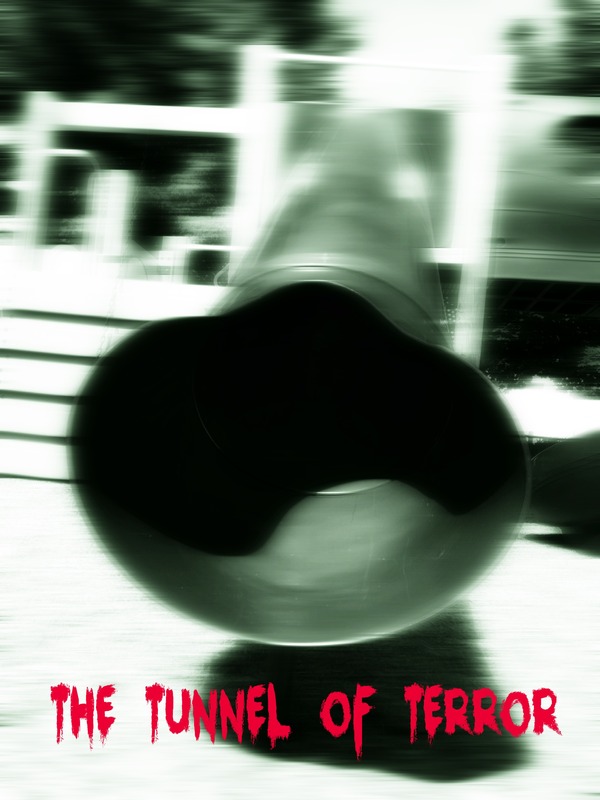 The Tunnel of Terror may seem like the typical slide, but be warned that it’s so much more. This slide has the ability to gain so much momentum and speed that your child will come flying down the tube faster than a greased pig racing downhill. So get into your catcher’s stance and be prepared to lasso your rocketed child at the bottom. The Drop of Doom has claimed many victims. Sometimes it’s the ones with short legs, but also the ones with short attention spans. “Let’s climb to the top and….oh wait, is that a shiny rock…” Tricky, tricky, tricky. Now it’s time for you to lace up those sneakers (or attach the velcro on your kid’s shoes), pack some Goldfish crackers and water bottles, and have fun at the playground. Just proceed with caution and remember my warnings, friends. Remember, I am a professional. Now it’s your turn! 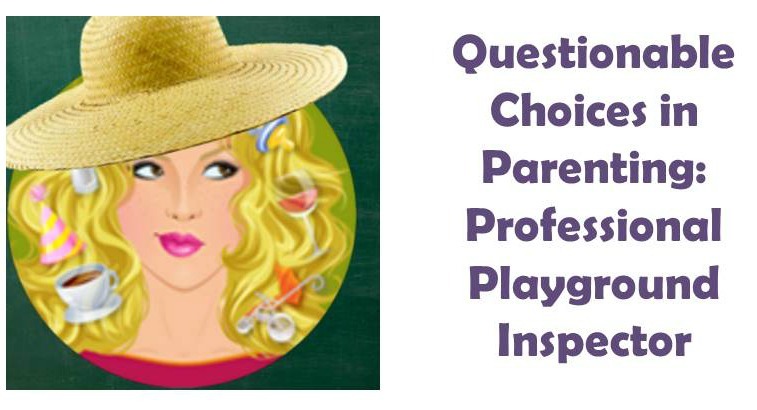 Is there a part of the playground you steer your kids from? Ouch!!! That is the WORST!!! Thanks! The most we can hope for is to catch them and that they don’t come down face first!! LOL! I hear ya. We hate balance beam or the stepping stones. My kids have no balance and they will land face first on them, the perfect recipe for a broken nose or broken lip at least. Who ever had the bright idea of a metal balance beam on a playground? Really? Are they paying for the ER visit? Ha! How could I forget the balance beams and stepping stones. One park as vibrating stepping stones. Why you ask??? No clue! Clearly someone without kids made these gems. I hate the Bridge of Death. When my daughter was 2 she ran across one of those and fell off under the chain railing, I thought she cracked her head open. I’m also not a fan of the Wheel of Death — merry go rounds for the fact that I flew off one when I was a kid! Dam that Bridge of Death!! It’s the worst! Oh!! How could I forget the merry go round? You are just asking to have half your face ripped off on those! Bahahahahaha! I LOL and spit my Diet Coke when I read your comment. You just made my day, lady! I basically just keep my kids away from the other playgrounders whose parents are too busy being negligent Nancy’s with their noses in their Blackberries. In my experience, those poor kiddos want attention that they’re not getting and so they willingly drop elbows on smaller kids. Like my kids. And Mama don’t play that. I hear you! I have NO patience for mean kids on the playground! Or how about the Ring Of Fire? The slide that has the ability to reach a soaring 1000° F in the sun and sear the legs of any child who braves it. Ahhhh!!!!! How could I forget the Ring of Fire! It makes me think of the metal slides from when we were kids. OUCH!!! That drop of doom is pretty much in every play ground. I always stay close with my kids as they are still too young. Yes!! I am sure when they are older it will be something else! LOL. For me I just have trouble keeping my three-year-old in the actual playground. She likes to run off to discover treasures in the field next to the park, if you consider treasure to be things like broken glass, dog poop, and cigarette butts. Her second favorite spot: the public men’s room. As playground inspector, can you pull some strings to build a fence around my park? The Tunnel of Terror is even more fun when the kiddos want to climb up the OUTSIDE of the tube! Oh no! I didn’t even think of that!!! You are so funny! 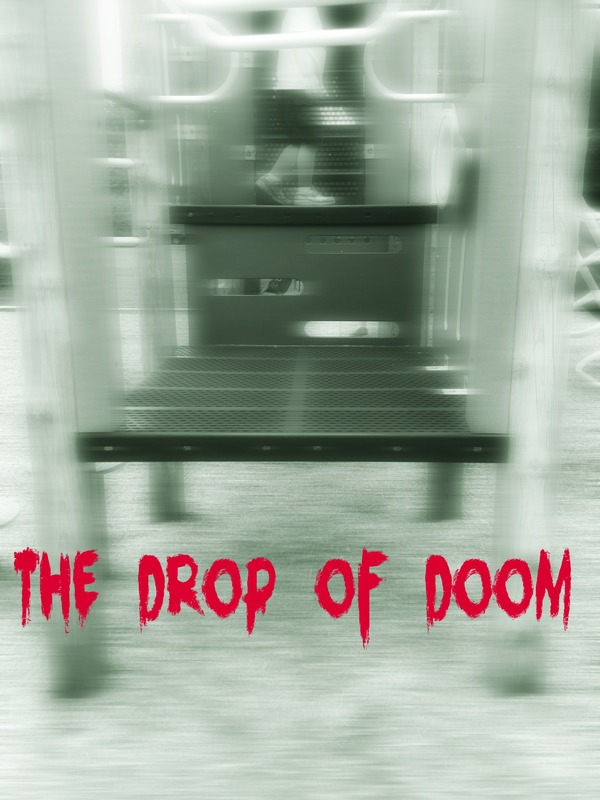 The drop of doom! YES! How many bumps on the head have we suffered?? Bad, bad news…thanks for doing your part to inspect and report!